Flowers are blooming here in Rome and the sun is warm and bright during the day. I love this season so much! I am already wearing my favorite t-shirt during warmer hours and I love it. 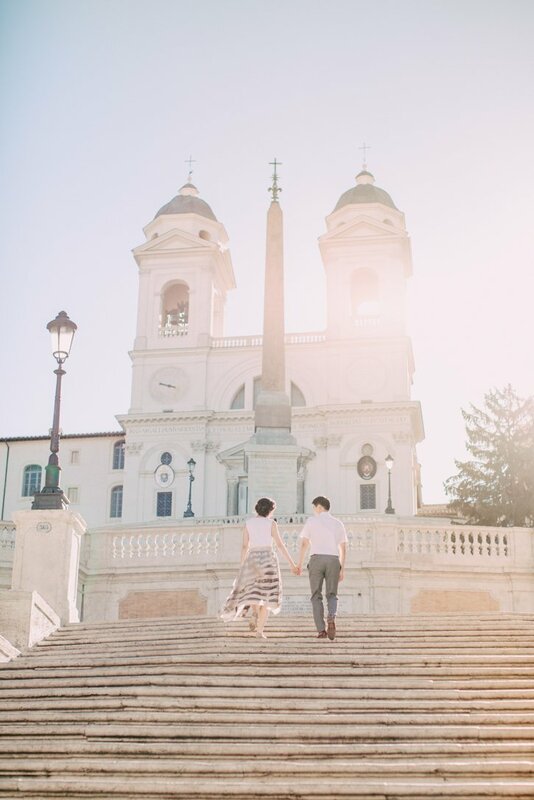 What a perfect time for a couple portrait photography session in the eternal city. Let’s celebrate Spring with a wonderful discount. If you do not know which locations to choose from, please check my blog post regarding “Best locations for couple sessions in Rome”. See below the conditions and feel free to get in touch anytime if you have any questions for me. 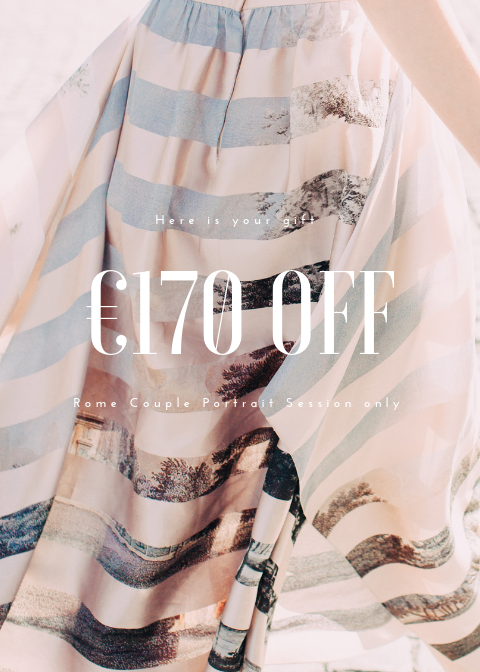 Sign up to the newsletter below to receive your discount* for Rome couple portrait sessions. Discount available for Rome honeymoon, engagement, vacation and portrait sessions only. Available for couples only and exclusively in Rome.